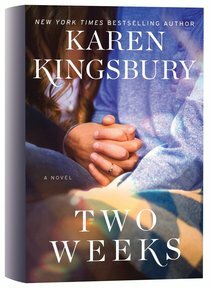 About "Two Weeks (Baxter Family Series)"
In this new Baxter Family novel, Christian high school principal Wendell Quinn starts an after-school Bible and prayer program to improve the lives of his struggling students. Despite the evident success of the program, Quinn faces a lawsuit that could ruin everything. In this inspiring Baxter Family novel, Christian high school principal Wendell Quinn starts an after-school Bible and prayer program to improve the lives of his struggling students. Despite the evident success of the program, Quinn faces a lawsuit that could ruin everything. This novel tells the back-story of a couple of the most beloved characters from Karen Kingsbury's Baxter Family series. Through the freshman school report of their grandson Cole, the love story of John and Elizabeth Baxter unfolds - a tale that will touch the hearts of the whole family.